Thank goodness it's finally Friday. I have a lot to look forward to this weekend, and I'm more than ready for a quick break from work! 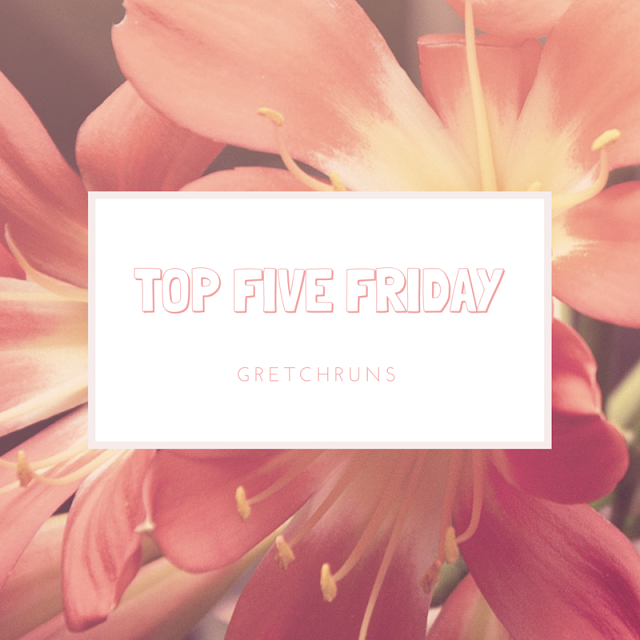 This week was super busy and I found some new favorite products that I want to share today, as well as some new additions to my running playlist. I also want to share some of my favorite recent Pins rather than TV show recaps (honestly, all I've watched this week was tennis and baseball!) I hope you all have a great weekend! After Nichole and Jennifer mentioned this product, I knew I had to try it as well. Drinking this after a tough run is amazing and I highly recommend it! Not only does it taste really good (I got watermelon and icy blue razz..both great) but it also seems to help recovery. I get twitchy muscles all the time after speed work and my Group Power class. With this, I have no problems at all and bounce back from running so much faster! I have to warn you all- now that football season is coming up, I will be mentioning Penn State a lot. I'll try to keep it to a minimum, but I had to share this! I was in the band all four years in college, so this video just made my day! I wish we got to visit the football team while I was there... :) Just sayin! Every summer and winter, Pittsburgh hosts a huge Restaurant Week event. Tons of restaurants participate and offer amazing specials and tasting menus. I absolutely love visiting one or two restaurants that are usually out of my price range and having a great meal. Earlier this week, my mom and I stopped at The Capital Grille for lunch, and ended up getting a three-course meal for only $16.15, including a wedge salad, steak with side salad and the best flour-less chocolate espresso cake. Restaurant Week ends on Sunday, so make sure to grab some reservations before it's too late! Gold Star of the Week: I've mentioned multiple times that I occasionally run with the True Runner Run Club, and I just signed up for their 10 Miler training program (with the goal race being the EQT Pittsburgh 10 Miler). Both of these programs come with tons of incentives, so I was able to get this huge haul for only $18!! You might notice a pair of goggles, because I'm going to make it a goal to start swimming! Apparently that's kind of important to train for a triathlon, so I guess I better start! Demerit of the Week: I had the worst time falling asleep this week for some reason, and ended up not running in the morning at all. I think I need to start shutting off my iPad when I go to sleep (I usually fall asleep watching something) and hopefully that will help. It's been so cool in the morning lately, so I want to take advantage of that! [Source] Cozy, cute outfit for fall! [Source] I love how this is set to music. Sounds tough! [Source] Amber has THE BEST hair tutorials. So jealous of her braiding skills! BRB I need to go make that cookie cake. Seriously looks delicious! Hi Gretch! Thanks so much for linking up your favorites. I'd never heard of some of those songs before. I had to look up the Jessie J track and I love it :) Also, the day I can braid my hair like that... I would pay someone $100. Haha. It's beautiful though! Happy Weekend! Oh, I wish I could braid my hair like that but my hair is so thick and curly that it gets all knotted up about 30 seconds into it. :( Boooo. You KNOW I'm downloading those songs! It seriously saves me when I have to show some leg! It's REALLY good. Hope you like it if you end up trying it! Wow, that is quite a haul for $18! Also, I'm a self-tanner addict and I've always been curious about Sally Hansen Airbrush legs. It sounds like it works differently than self tanner but it looks really great! Did it rub off on clothes or sheets or anything? You know...in the way foundation would? Love Jessie J and need to check out that track! I stacked so many deals and coupons and perks! The employees couldn't believe how cheap it was :) I've never had a problem with it rubbing off, but I would double check how it works on you before sitting on an expensive white couch or something. It's great though! i totally want to try that airbrush legs stuff! my legs are always so pale, even if i tan elsewhere, my legs dont. that cake looks amazing and i am always so jealous of Amber's hair! It's really great stuff! I don't like fake tanner because I always end up streaked and it takes forever to wear off. This is nice and temporary! Oh I'm glad you're liking Alpha Amino too! I'm actually sitting here sipping on the rest of my Lemon Lime from this morning! 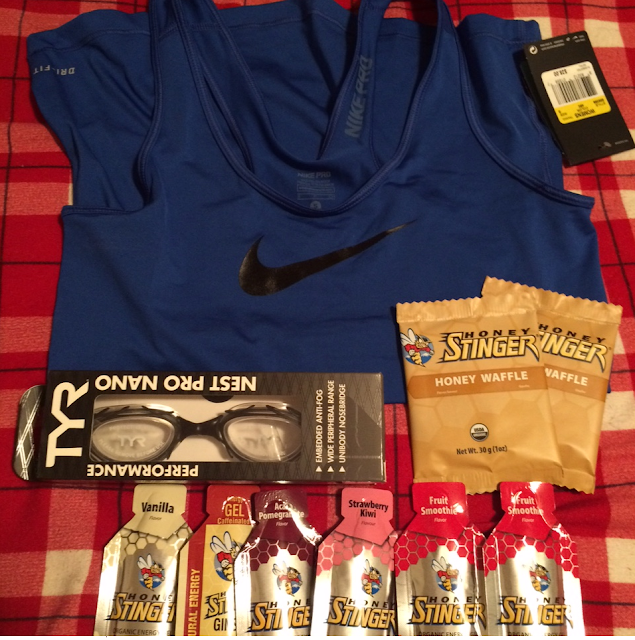 :) I can't believe you got all that stuff from True Runner for only $18!! That's amazing. I'm so glad you mentioned it! It's really good..i'll probably end up trying each flavor. 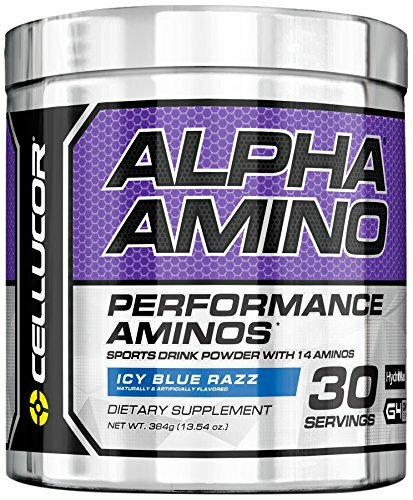 I love the Alpha Aminos - I drink it almost every day. I love the blur razz and watermelon! I can't believe I've been missing out for so long! I'm in love now though! It's seriously the best. OK that steak looks amazing! Cookie cake <33 Also, can't wait for cozy fall clothes! That dessert looks delicious. I recently downloaded a few new songs for my ipod to freshen things up. That always helps my motivation a ton! What songs did you download? Glad the performance aminos are working for you! And that's a great haul from True Runner/10-miler training program! So, I don't think I'm going to do the 10-miler. I'm just not sure how I'll be feeling with it being the weekend after my goal race. After doing an intense training program, I may just need to rest. I'll decide the week of, but if I don't run it Django and I will be spectating since it goes right by my house. I, for one, am reeeeeeally looking forward to all of the Penn Sate talk!!! Between that delicious looking steak and drool worthy dessert, this post made me really hungry!!! Yay!! That's good to hear!! I'm getting hungry as well, so I guess it's time for a late lunch ;) Have a great weekend Amanda! ohhh i love the stinger waffle things! i just tried the gingersnap flavor, oh man it's SO good. and good luck swimming! i used to be on swim teams and stuff, but man i lost it quick haha. just went to the pool today for the first time in a year and it was roughhhh. I haven't be that kind yet! It sounds great though. Swimming will definitely be tough! Can I do the Happiness Project with you?!? I've been listening to Gretchin Rubin's podcast recently and I think gold stars and demerits would be a great way to keep me on track. :) As always, so fun to read what you've been liking this week! YES!!! Of course Emma! I would love that :) Looking forward to your gold stars!! Hope the swimming goes well! The nike tank is really cute. Thanks Jess! And yes..the steak...yummm!